Klipsch Landscape speakers are designed to bring classic Klipsch performance to a new area of the listener's life. It is essential for our customers to have a landscape speaker system that matches the power, detail, and dynamics of our highest performing hi-fi and home theater products. 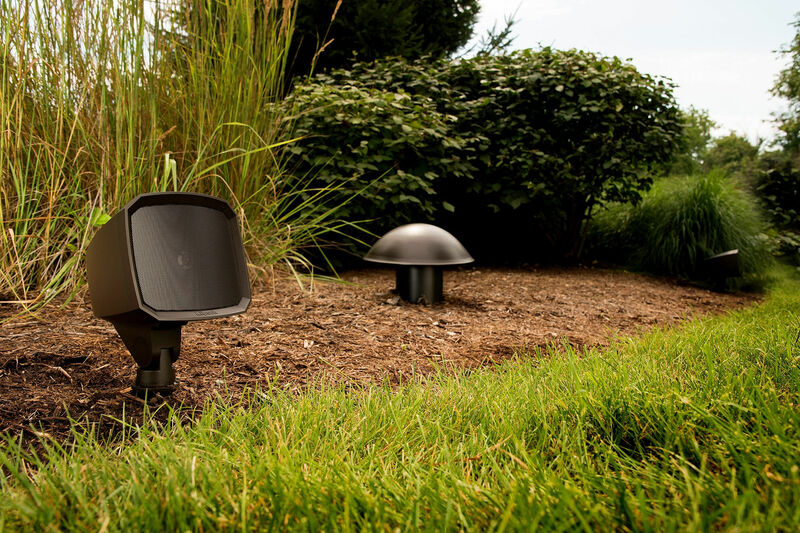 Klipsch Landscape speakers work great in a residential backyard or in an outdoor 70v or 100v commercial application. So there’s no need to stock multiple products for your different installations. Use Klipsch Landscape speakers wherever outdoor products are needed. Keep things simple for you as well as your customer. Outdoor installations don’t mean sacrificing bass. Klipsch Landscape Subwoofers bring the same deep bass response you know from Klipsch indoor products into the outdoor environment, and they’re just as weather resistant as the rest of the line. Klipsch Landscape speakers are designed to disappear into the installation. The full range speakers look like they could be part of the landscape lighting, while the subwoofers are designed to be literally buried in the ground. You’ll hear great Klipsch sound, but you won’t see anything at all.